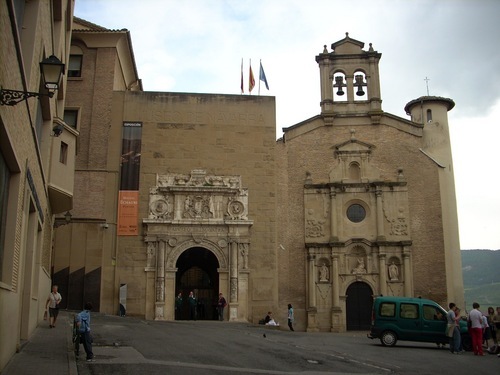 The old Hospital General de la Misericordia (General Hospital of Mercy) in Pamplona was founded in 1556 by Remigio Goñi and was operating - under different names and functions - until 19391. It was named after the image of Our Lady of Mercy kept in the hospital's chapel and could acommodate 600 beds2. 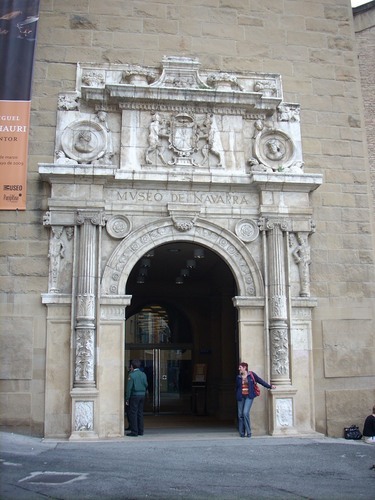 The building now hosts the Museo de Navarra and is located on the edge of the old part of Pamplona, next to the city walls (Salida Santo Domingo, 47). - J.Alvarez Caperochipi, El Hospital de Navarra y el desarrollo de la cirugía. 1854-1968, Gobierno de Navarra, Pamplona 2007, pp. 143. 1. See J.Alvarez Caperochipi, El Hospital de Navarra y el desarrollo de la cirugía. 1854-1968, Gobierno de Navarra, Pamplona 2007, pp. 25 and ss.